Founded in 1955, the Humane Society of the Treasure Coast (HSTC) is an open admission shelter. We accept all animals regardless of health, age, temperament or breed. Over the years more than 350,000 animals have received care through HSTC's programs and services. As a result of our commitment to excellence and fiscal responsibility, HSTC has earned a 4-star rating from Charity Navigator for the fifth consecutive year, and nine out of the last ten years! Passionate for helping animals? The Humane Society of the Treasure Coast has an opportunity for you! By becoming an employee of HSTC, you can join a dedicated team that serves over 6,600 animals annually, by providing quality medical care, food and shelter, adoption and spay neuter programs, humane education and other important services for the animals and community. The Humane Society of the Treasure Coast was founded in 1955 with the mission to find forever families for homeless animals in Martin County. Today, our shelter operates on 14 acres in Palm City and serves over 6,600 animals annually. This is a unique, full time, day-shift role. Benefits include health, vision, dental, a 401K with match, and PTO for eligible employees. The Humane Society of the Treasure Coast is searching for a Surgery Technician to work in our high volume spay/neuter clinic in Palm City, FL. The Surgery Tech will be responsible for assisting and supporting the shelter veterinarian in examining, handling, and treating patients. He/she will also be responsible for effectively communicating with the general public and those directly related to HSTC to ensure proper health care to animals under the protection of the shelter. This position requires availability for weekend work and must have previous animal care expierence. Assist veterinarian in examining, handling, and treating patients. Administer first aid treatments and medications to sick and injured animals as directed by the veterinarian as well as providing water and proper diet for all animals in veterinary care. Prepare patients for surgery, assist in surgery, administer anesthesia and postoperative care, perform dental cleanings, and assist with euthanasia when required and directed by the Veterinarian or Animal Care Manager. Assist in admission procedures of animals including vaccinations and general health assessments and notify veterinarian of those animals in need of medical attention. Perform venipuncture and diagnostic laboratory tests. Handle all animals humanely, properly and with compassion. Clean cages and care for all animals housed in Medical Clinic. Monitor status of all ICU patients and communicate changes in status to the shelter veterinarian. 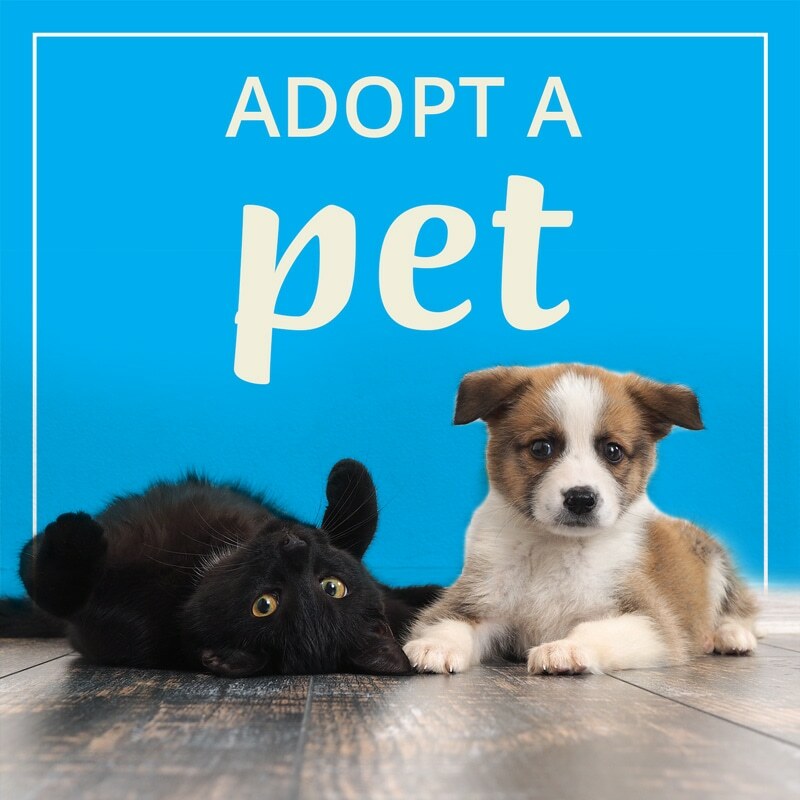 Admit and discharge animals to the shelter in a courteous, and tactful manner and to inform the client of any pertinent medical information on the animal’s care. Field general inquiries and serve as an education resource for the staff, volunteers, and public in a calm, courteous manner. Foster an open and friendly atmosphere between Animal Medical Services and the staff, volunteers and public. Actively assist in improving volunteer retention and job satisfaction in the animal care department as well as the shelter as a whole. Work as a team both within the animal care department and within the shelter as a whole. Maintain patient records by accurately recording treatments and other test results in Petpoint and other medical records. Maintain accurate surgical records by completing any related paperwork and computer data entry. Maintain a healthy, safe, sanitary, pleasant, and clean environment for the animals in the veterinary treatment facilities at all times. Daily cleaning, organization, and restocking in the Medical Clinic. Maintenance or supervision of maintenance of all medical and surgical equipment. Follow established procedures governing safe work practices. Affection for animals, concern for their welfare and a willingness to accommodate animals in the workplace. Willingness to learn how to caring for and appropriate handling of animals in a safe, effective and humane manner. Ability to communicate effectively with a diverse population of staff, volunteers, and public. Professional appearance including wearing the designated uniform and maintaining a neat and clean appearance. Critical evaluation and observational skills. Knowledge of current shelter maintenance techniques and accepted sanitary practices. Knowledge and familiarity with clinical signs of illness in cats, dogs, and exotic animals. Knowledge of preventative, diagnostic, and therapeutic veterinary treatment of domestic and exotic animals. Qualified candidates can e-mail a resume to pdiskant@hstc1.org with the subject line: "Surgical Tech Position" or visit the shelter at 4100 SW Leighton Farm Ave in Palm City to fill out an application in person. The Humane Society of the Treasure Coast was founded in 1955 with the mission to find forever families for homeless animals in Martin County. Today, our shelter operates on 14 acres in Palm City and serves over 6,600 animals annually. This is a unique, part-time, day-shift role. Benefits include health, vision, dental, a 401K with match, and PTO for eligible employees. The new Kennel Attendant at HSTC will perform all necessary work in maintaining the health and welfare of the shelter animals. This employee will be responsible for keeping exam rooms, kennels and related areas of the animal shelter in a clean and sanitary condition., while also providing humane handling and care for all shelter animals. Responsible for all duties related to the care of shelter animals. Cleans and disinfects cages, kennels, exam rooms and runs. Cleans medical equipment when requested. Launders and replaces soiled bedding and litter and assures temperature and ventilation are adequate. Assures animals receive proper food and water and that dishes are sanitary. Observes animals for sickness, infestations, injuries and behavior changes and reports symptoms to appropriate personnel. Continually inspects holding areas and spot cleans cages and runs when needed. Assists with inventories and restocking supplies. Runs errands as needed. Cleans and sanitizes vehicles and equipment used in transporting animals. Bathes grooms and walks animals as needed. Responsible for parasite control. Assists in receiving and admitting animals. Assists Animal Control officers when delivering animals to shelter. Responsible for intake process for animals left in “overnight” pens. Participates in staff meetings, in-house service trainings and attends educational meetings as requested (at expense of HSTC). Performs other duties assigned or as the situation dictates. Skill in humane animal handling and restraint. Ability to interpret animal body language and react appropriately. Knowledge of safe work habits and routine sanitation methods. Skill in humane animal grooming techniques. Ability to safely handle cleaning chemicals, agents and equipment. Knowledge of basic custodial and remedial care of dogs and cats. Ability to identify suspected signs of illness. Ability to identify common animal breeds along with a basic understanding of breed characteristics and behaviors. Ability to comprehend and follow oral and written instructions and communicate effectively in writing and orally. Substantial lifting and carrying necessary at times. Must be able to stoop, bend, and lift overhead on a frequent basis and perform duties regularly associated with heavy cleaning. Must be able to control any personal allergic reactions to animals. Exposure to high noise levels, odors, animal bites and scratches, diseases transferable between animals and humans, cleaning agents, insect/parasite controlling chemicals, slippery floors, dust, animal dander and excreta, injured animals, euthanasia, and staff and customer emotional extremes. High school diploma or equivalent desired, but not necessary. Experience handling animals very desirable. Must have a valid driver’s license. Qualified candidates are invited to visit the shelter at 4100 SW Leighton Farm Ave in Palm City to fill out an application in person.